The Hydrant Master is a lightweight, low friction-loss hydrant valve that can be used in many water distribution applications. The valve is powered by (4) AA batteries, pressure activated, and equipped with a power-save mode. 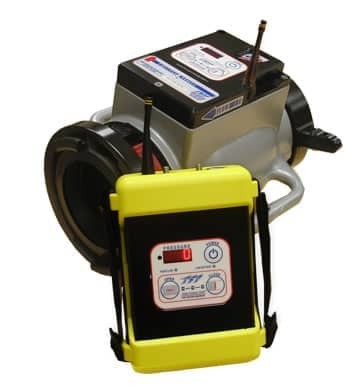 A handheld controller with pressure display and valve position feedback controls the valve up to 1200 feet (366 m) away.